How can one adequately understand this day? It transcends our ability to comprehend. The absence of candles, holy water, and the Eucharist in church sends a shock to our senses. He who is the “way, the truth, and the life” is gone. 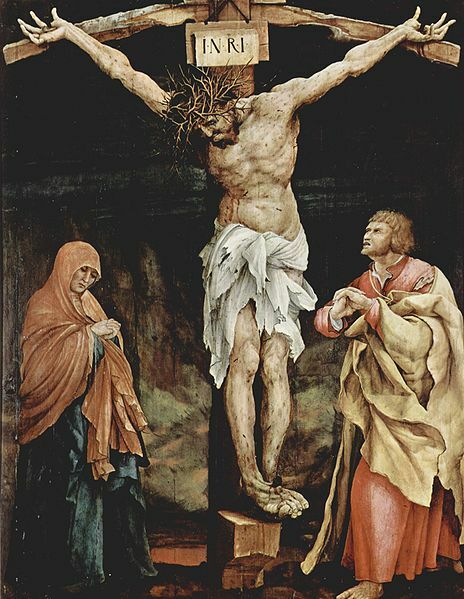 He has been betrayed, scourged, crowned with thorns, and executed as if He was a criminal guilty of the most heinous crimes. Behold the love of God! A bruised and naked body, bloodied and gasping for air. He is an embarrassment to the crowds, a blasphemer to the Jews, a criminal to the Romans, yet to His mother and a few others, He remains the savior of the world. Who then is this God? He is not the God we expect Him to be. He is quiet, docile, obedient, and subject to human authority. We expect a God who is more like a warrior; instead we have a God who is a servant. We expect a God who would annihilate his enemies, yet He does not even fight back or say a word against them. It is only faith that can penetrate these depths. Our human intelligence stands before the Passion of Christ and humbly bows down in confusion. Unknots my muscles, though still, I cannot dream. So strange…these heavy eyes can only wane. What is this fatigue, this oppressive sleep? Get up, I say, before the hour’s gone! It’s come—the thief—and I can’t seem to move. The Lord of all creation bends down to wash the feet of his disciples. How embarrassed they must have felt, confused, insecure, and ashamed by the great “kenosis” that was occurring before them. Peter’s refusal, “you will never wash my feet,” seems not only appropriate but even necessary. Is it not man who should be serving God rather than God serving man? Is it not man who should be humble and lowly before God and not God being humble and lowly before man? God’s ways are never our ways. Isn’t this the “scandalous” truth of the Eucharist? God remains lowly and humble, stripped of his glory, silent and obedient before us. To our senses He is unrecognizable, yet God penetrates beneath our senses. In the Eucharist, with the eyes of faith, God speaks softly to our souls, he “washes” us again and again in the hopes that we can believe more firmly in this God who has emptied himself. What is true of Jesus washing the feet of his disciples is true of the Eucharist. His power lies in his humility, and his beauty is a self-offering that is complete, so much so that our eyes need to be readjusted and our hearts softened so as to see the glory that is before us.